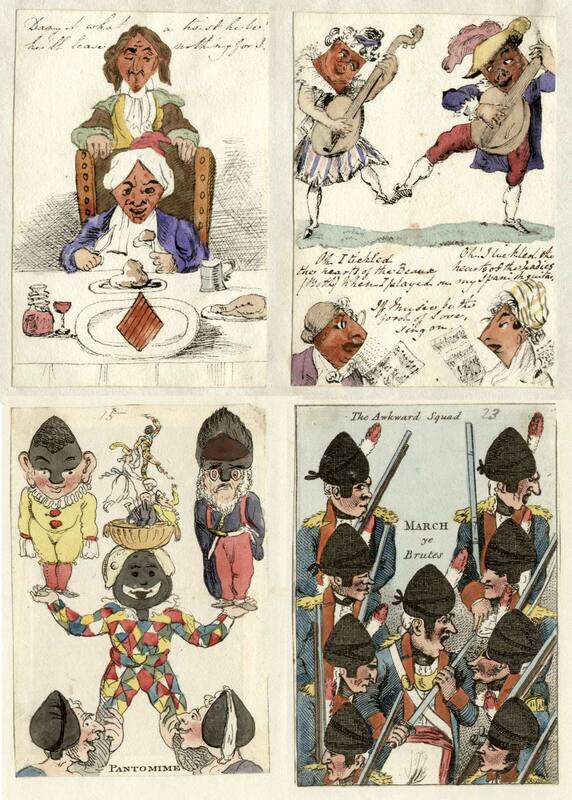 A unique collection of proof cards designed by John Nixon, a talented caricaturist and amateur actor who worked closely with several London publishers, includes first stage prints, proofs and hand coloured finalproofs, many with handwritten inscriptions, of the “Metastasis” transformed playing cards. They give us insight into the design and thoughts of the artist and are the cornerstone for the history of English Transformation cards. John Nixon also served as a special juryman at the Guildhall court and as a captain in the Guildhall Volunteers which no doubt provided inspiration for many of his caricatures. 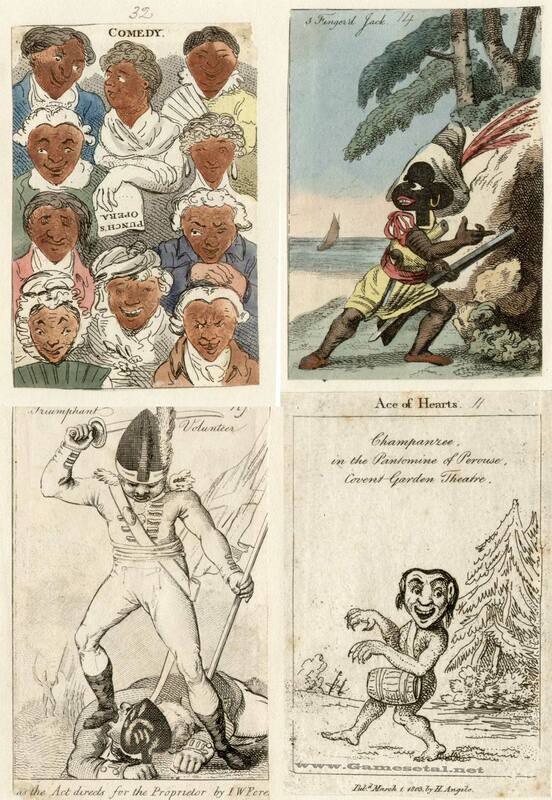 Above: Transformation proofs from the John Nixon Scrapbook covering packs published from 1803 to 1820.